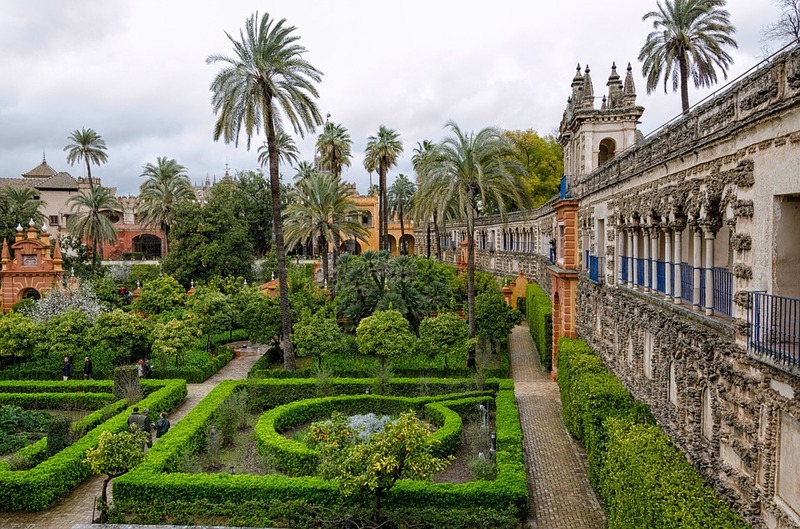 If you come to Seville and you don't know where to start, don't be overwhelmed! 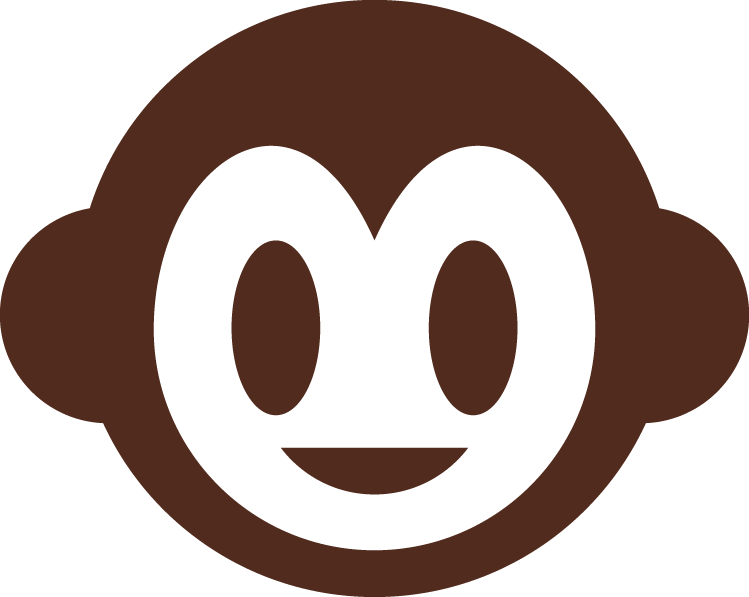 We help you plan your visit. 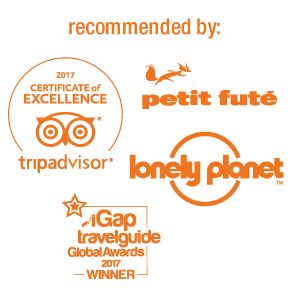 If Seville has been chosen as the best European city to visit in 2018, it is for a reason. That special color makes you fall in love with its monuments and takes travelers back in time. 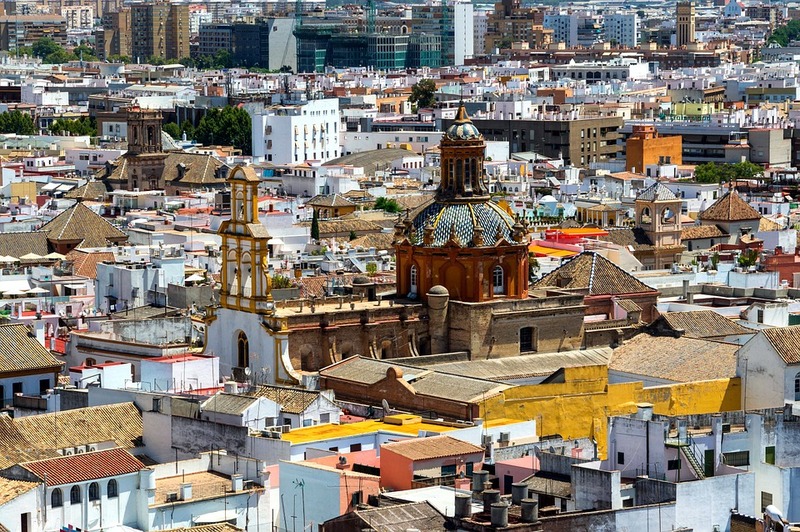 We propose 5 monuments that you can't miss during your visit to the capital of Seville and will immerse you in the charm of this Andalusian city. 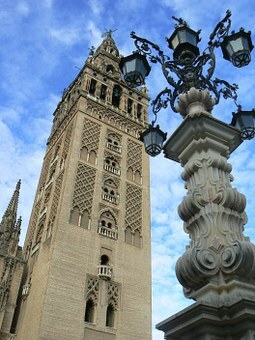 When we hear about Seville, it is impossible that the image of the Giralda does not come to mind. 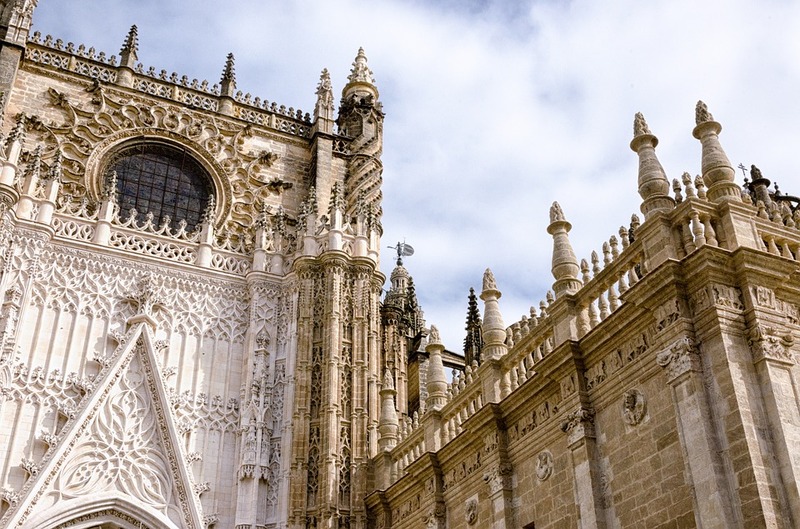 Next to the Patio de los Naranjos and the Royal Chapel, they form the monumental complex of the Cathedral, declared a World Heritage Site by UNESCO in 1987. In the Crypt are the tombs of several kings of Castile and Alfonso X the Wise, and even the tomb of Christopher Columbus. The tower, 100 meters high, was built as a minaret of the old mosque. Today it is the most important monument in the city. We recommend that you climb its 35 ramps to enjoy one of the best panoramic views of the city. 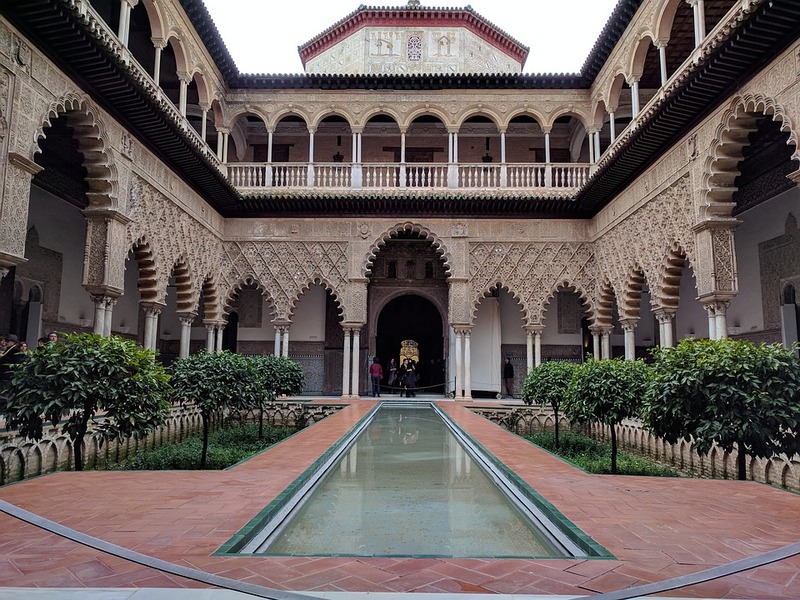 Mudejar, Gothic and Renaissance style palace whose origin lie in the ancient Roman Hispalis. With the Muslim reconquest, it became the seat of the Crown and the seat of municipal power. Among its rooms are the Courtyard of the Maidens, the Hall of the Kings and its gardens with arabesque decorations. Nowadays, many fans of Juego de Tronos visit it, as it has been one of the stages of the last seasons. Also declared a World Heritage Site by UNESCO in 1987, this building was ordered to be built by King Charles III with the aim of keeping inside it an innumerable number of documents from the Spanish colonies. Texts by Cristóbal Colón, Fernando de Magallanes, Vasco Núñez de Balboa, Hernán Cortés and Francisco Pizarro among others. 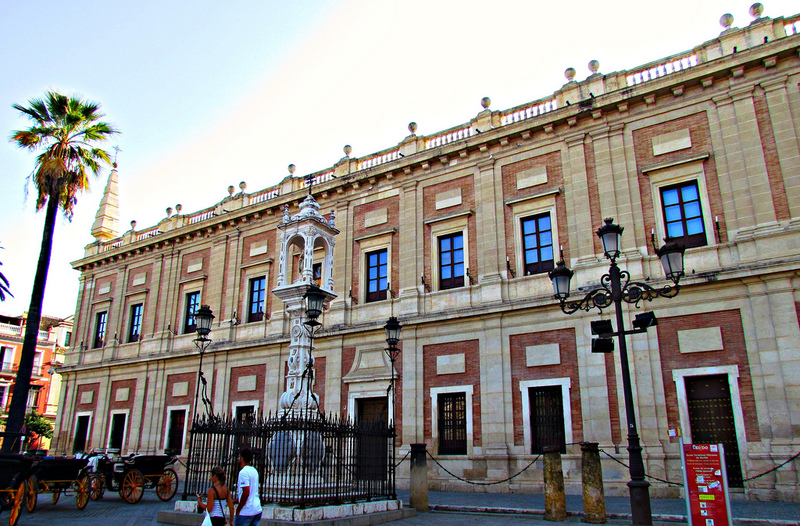 Today it is still the seat of the municipal archive. The most important architectural complex is the María Luisa Park, built for the 1929 Ibero-American Exposition. In a semi-eliptical form, it symbolizes Spain's embrace of its ancient American territories. The surrounding pond is crossed by four bridges representing the ancient kingdoms of Spain and crowned by two baroque towers. It is worth admiring the ceramic decoration and the ceilings of the coffered ceiling gallery, supported by marble columns. 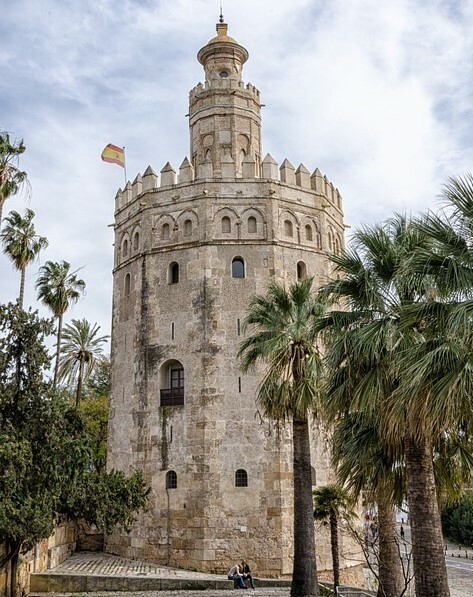 On Paseo Colón and along the Guadalquivir River stands this Almohad tower that served as a wall to defend the Alcazar. Its name comes from the shine of the lime and straw mortar and its reflection in the river. 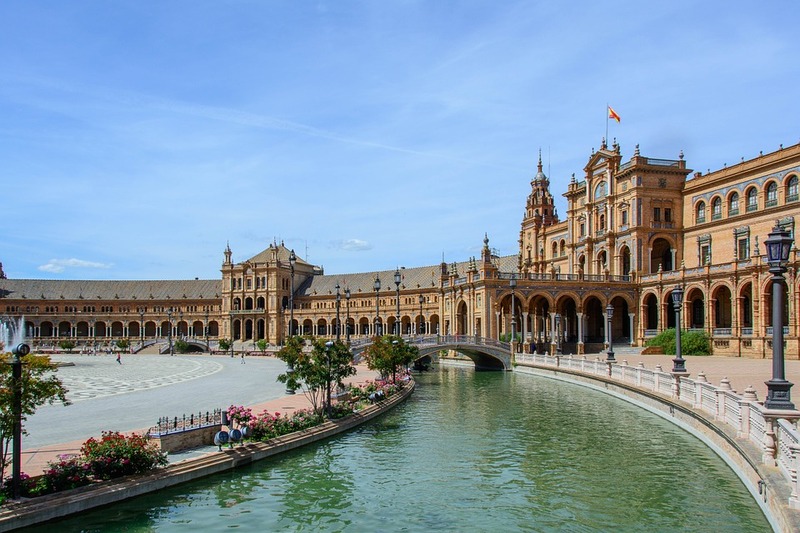 These are some of the essential monuments that you should visit if you ever come to Seville. So bring your suitcase and travel to this wonderful city. 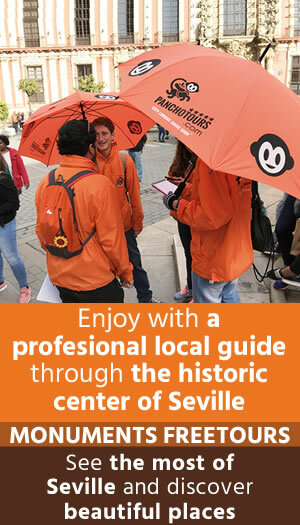 If you want to get into their legends and curiosities, join our tours where the guides will make you experience an unforgettable experience.